When i'm viewing my material in the 3D window in designer i can rotate the camera ok, but there is no way to do anything to the light, it remains static. I added the light debug display, and the line is rotating alright but nothing happens with the actual light... I have ambient + point1+point 2 enabled. Also enabled/disabled them, changed intensity -> no effect. Tried different materials and environments and shaders, light remains static. I reset everything there was to reset in the 3D window, no sauce. What's wrong? I know it worked a few months ago when i used designer last ? Can you try to display your background (Environment > Edit > "Is Visible" set to true) and press CTRL + Shift + Right Mouse Button ? The environment map is supposed to rotate. Can you also try to set your lights this way ? And press SHIFT + Left Mouse Button in your 3Dview ? The environment displays and rotates ok. The light from the environment goes along with it. But the point lights do not work whatsoever. And changing the ambient light settings doesn't do anything either. You can also disable the background. There is no ambient light while working with PBR shaders as the ambient light color is a way to fake your environment map behavior (the ambient light is an average of your environment map information). 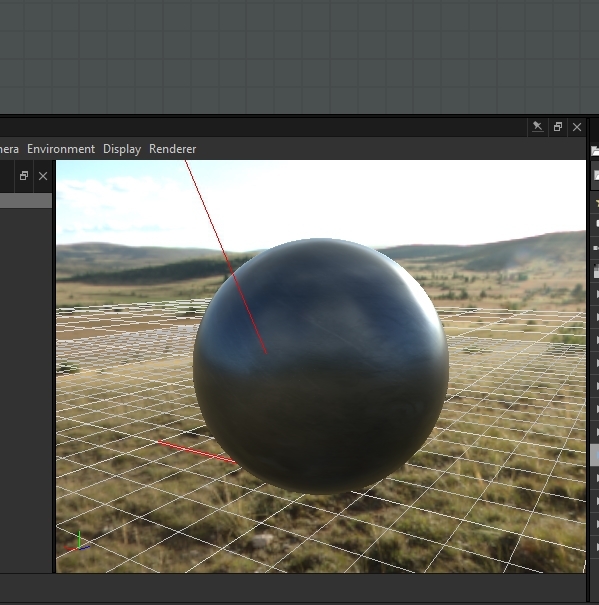 If you want to have a look to it, you can switch to a blinn shader. Oh i thought the ambient would control light coming from the environment. Didn't know they are separate things. Try to set another color than the default one (which is fully black). there was a material applied. It is pitch black no matter what material or color is applied (with environment exposure all the way down and point lights enabled and at maximum intensity). If you want it, we can do a team viewer session together. Just send me a PM so we can plan it.